My first thought when I walked into Nic’s is that it feels like the classic New York neighborhood style Pizza spot. Just reading the menu I was getting amped up but my mind was placing an order that was meant for a few people, not that it’s ever stopped me before. 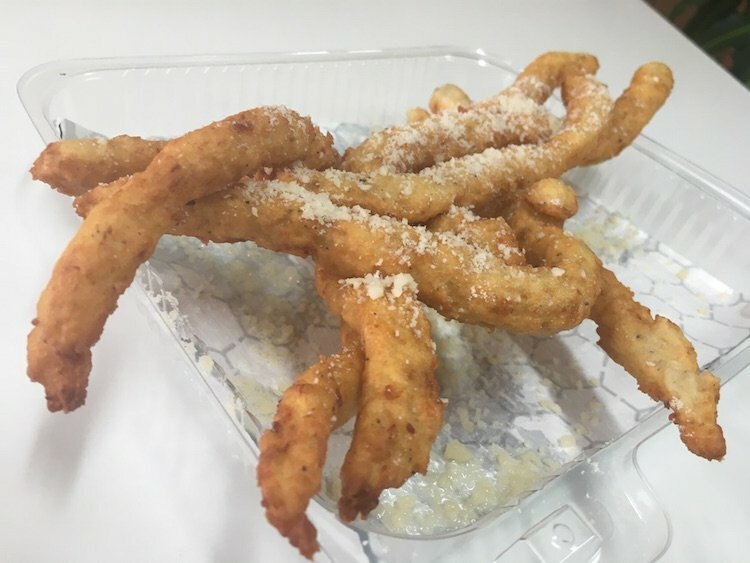 The first thing out was the Foot-Long Fries topped in parmesan which remind me of funnel cake but actually have more in common with gnocchi. If you do order these, try to eat in unless you’re gonna toaster oven them at home to keep them crispy. 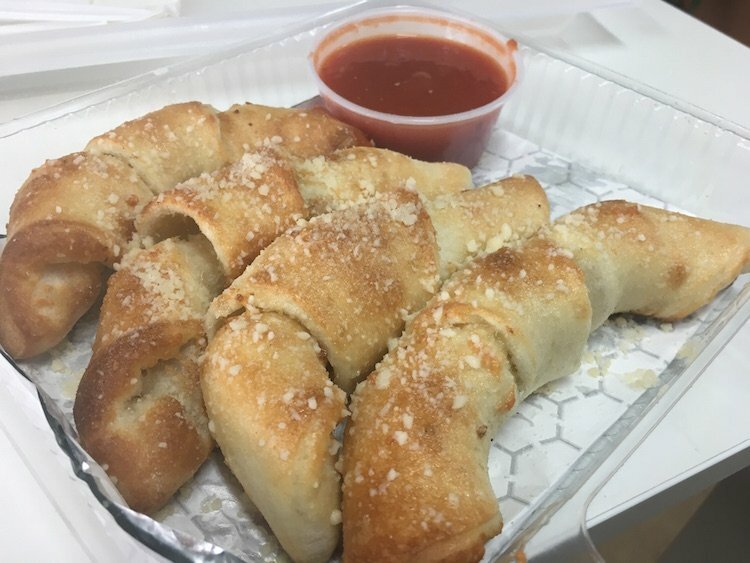 Nic’s take on garlic rolls/knots is Garlic Parmesan Crescent Rolls with a side of red sauce. I’m all for re-invention and it was good but next time I’ll ask for heavy garlic. 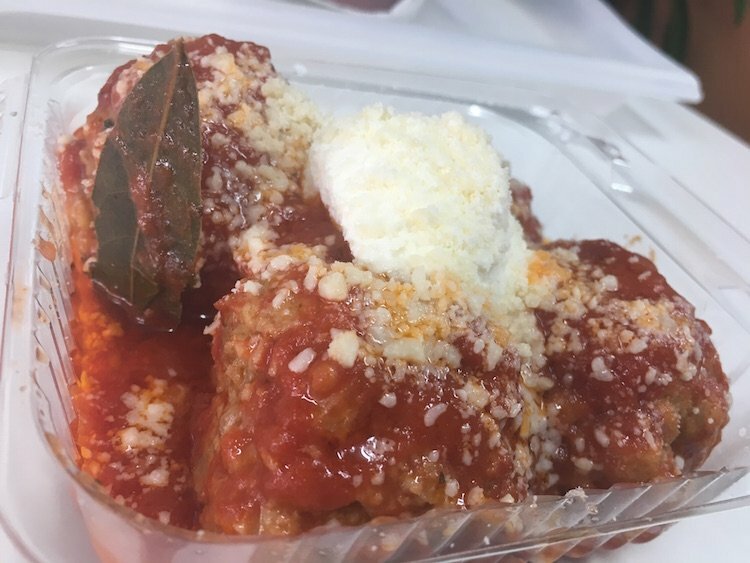 The Meatballs are a tri-bend (Beef, Pork, and Veal) served in a party pack of four with a scoop of ricotta and some parm cheese. 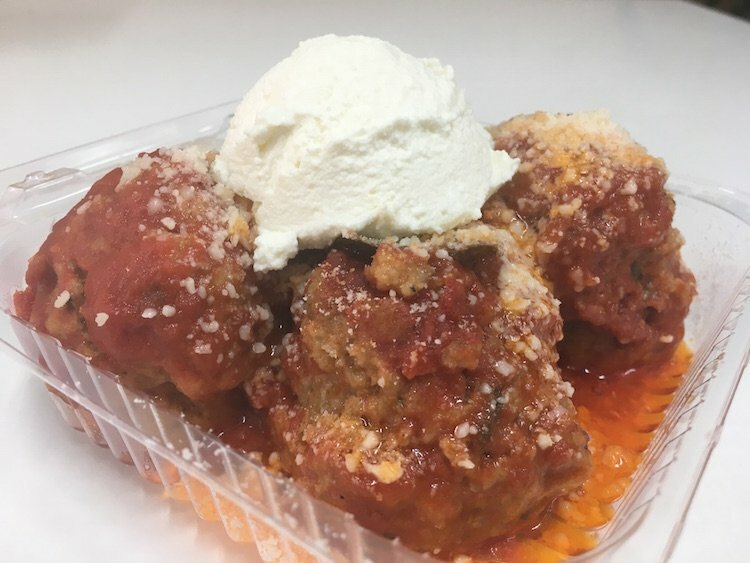 These Meatballs are incredible and I still think I might be underselling them. 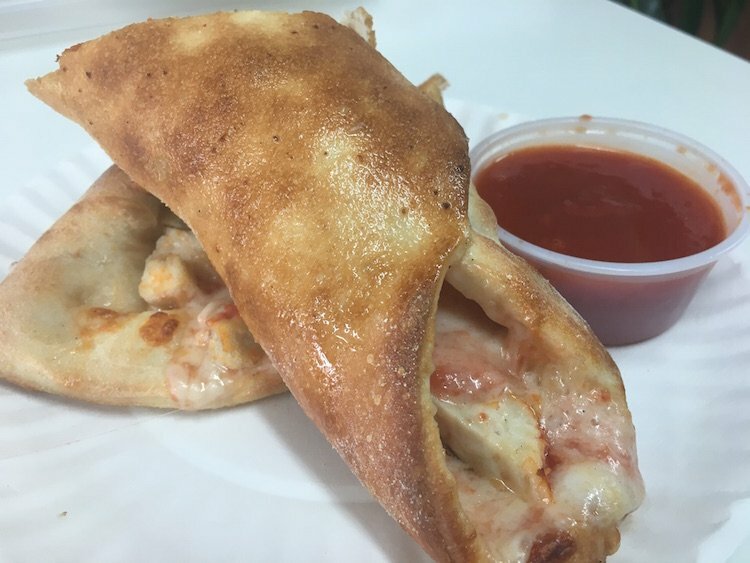 In lieu of ordering a Calzone or Stromboli, I opt for the Chicken of their Pizza Roll family, its brother Pepperoni rounds them out. Another winner that you shouldn’t share with anyone. 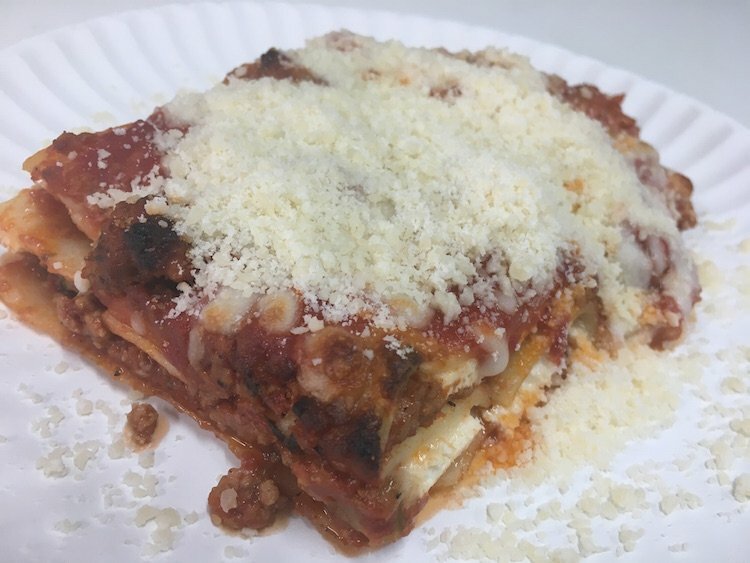 I was a bite into my Lasagna Bolognese when I remembered there was one other thing coming. It turns out the Lasagna is also on the Meatball of “incredibility“. I had skipped out on ordering a full pie and went for their house specialty, the 2 ft. slice. This thing is massive and I should have expected that given the name. 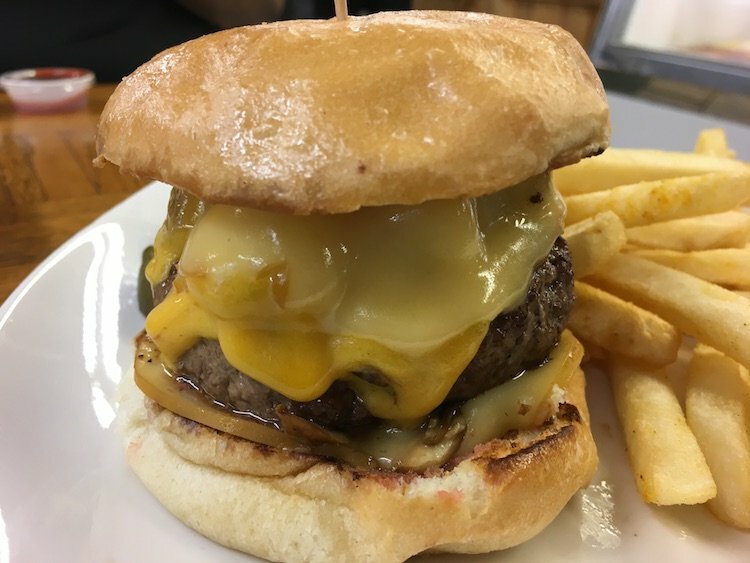 Sometimes these over the top creations are nowhere near as good as they look. This is one case where it’s just as good if not better. 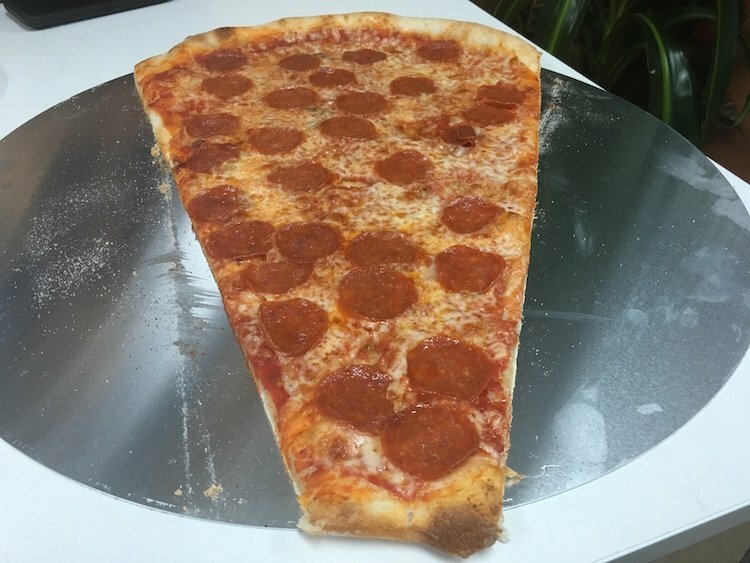 It’s a great New York style slice, be it gigantic or not. When I’m halfway through the slice I text my bud Zavier to meet me at Nic’s. I just had to share this place with someone. He lives right across the way in Miami Springs so he was here in less than 10 minutes. I had a Meatball order ready to go for him when he arrived as a welcoming gift. So as he sits there downing the Meatballs I ask him to close his eyes so he’ll be surprised. 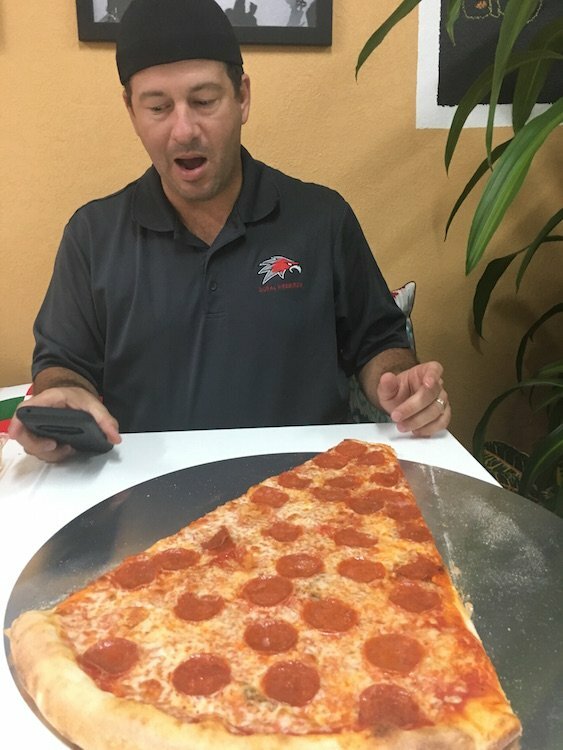 Below, you can not only find a picture of his reaction to the 2 ft. Pepperoni Slice but the video of him eating it like a pro. 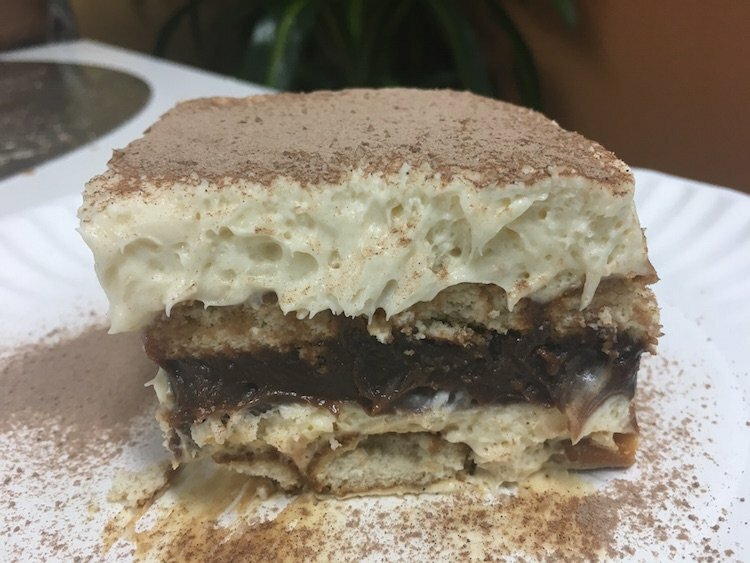 We were able to sneak in a few bites of the Nutella Tiramisu which finally did us in, highly suggested that you leave some space for it.